Burned out on travel and psychologically drained after half-a-year on ten dollars a day, I crossed the Mediterranean for the Land of Israel, supposing I would occupy myself picking oranges on a kibbutz before returning to the road. You can read about some of my adventures here. A strong dollar had given a few million other young Americans the same idea, and there wasn’t a spot to be found on any kibbutz in the country — an unprecedented event. With dwindling funds and a weary constitution, I seized the first opportunity that presented itself: yeshiva. It took two months for Rabbi Dovid Gottleib — a former professor of philosophy at Johns Hopkins University — to force me to concede that the Torah had indeed been handed down from Sinai. Read about how my background in literature sparked my transformation to Torah observance here. I spent the next nine years learning the language (beginning with aleph-beis), studying the accumulated wisdom of 3300 years, starting a family, earning my smicha (rabbinic ordination) from Rav Zalman Nechemiah Goldberg of the Jerusalem Beis Din, and acquiring the credentials to teach Torah to others. After leaving Israel, my wife, Sara Miriam, and I spent a year teaching in Budapest, Hungary. You can get a taste of our experiences here. We spent two years teaching in Atlanta, Georgia, before moving to St. Louis, Missouri, where we have lived since 1996. 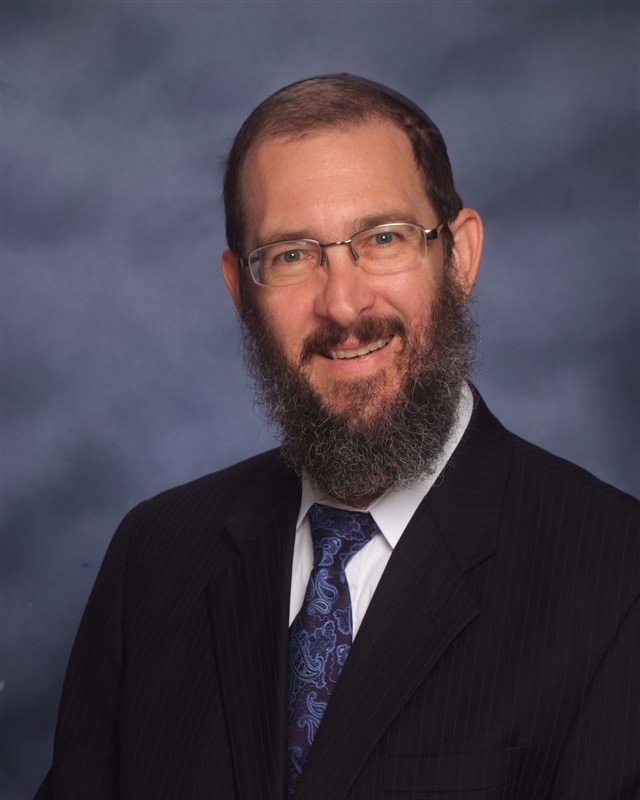 I teach Jewish history, Chumash, Novi, biur tefillah, hashkofah, and Zionism at Block Yeshiva High School, where I also edit Building Blocks, the school’s Torah weekly, and the yeshiva blog. Sara Miriam teaches special education at Ladue Middle School. We have four children. Dawn to Destiny, my book on Jewish history, came about through the development of my high school curriculum. Celestial Navigation, my collection of essays on the Jewish holidays, was published in 2013 by Block Yeshiva; all proceeds support the school. Click here for excerpts and ordering information. My next book, A Crucible for Silver, an anthology of essays relating to education and parenting, should be out this fall. And the first chapter of my book Proverbial Beauty, which offers contemporary lessons from the Book of Proverbs, can be read online here. My articles on contemporary issues, currents events, education, childraising, history, and all aspects of Torah thought, which can be found on this website, have appeared in jewishworldreview.com, aish.com, beyondbt.com, Mishpacha Magazine, Binah Magazine, the Jewish Observer, HaModia, and Jewish Action. I have also written as a columnist for the St. Louis Post-Dispatch and an occasional contributor to the Baltimore Sun. When unencumbered by the responsibilities of his day-job, I can be found as an adult lecturer, having been invited to address such organizations as the Kiwanis Club, the Daughters of the American Revolution, and Oasis, as well as Torah audiences. I also serve as a ba’al tefillah (or chazzan) for the High Holidays. Sample programs for Shabbatonim or Scholar-in-residence weekends can be viewed here. Interested parties can contact me at torahideals [at] gmail.com. Loved your article about your stay in Hungary. I’ve also been pushed to do things I would have never done in order to get out from under debts. However, nothing as drastic as going to Hungary to teach English. I have a brother-in-law who lives in Budapest parttime with his Hungarian wife Zsuzsa. I always wondered what it was like over there. Besides giving me some idea about what Hungary is like, the article was completely delightful, funny, moving, and evocative. Great writing. Looking forward to more of your stuff. I really liked your article about your stay in Hungary, especially because I’m one of the hungarian girls your wife used to teach!! I remember babysitting your adoreable kids, and Mrs Goldson even left me her Kitchenaid before you left! I was wondering if you could e-mail me your phone number, bec I’d love to get in touch with your wife. While in Atlanta, did you know a really wonderful man named Sheldon Little? His wife is a cousin to the famous Arlene Peck. I am sorry to say Sheldon died several months ago. He is sorely missed. Did you know any Hazans? Randy Hazan is a good buddy of mine. I see him down at the Atlanta Masonic Center near Tech for the lecture championships. The names are not familiar, I’m afraid. Then again, my memory for names isn’t what it used to be. Rabbi, Excellent article on why Jews are liberal. I had come to a similar conclusion regarding the Catholic faith. This question had interested me for decades from two perspectives. How do we convince our fellow citizens that there is a place for government, a place for religion AND that one works best when small and the other works best when it consumes our lives? I have read a number of your articles and have come away with the strong conviction that your English major came in handy after all. You left an inquiry on my Linkedin account a number of months ago, but I was so busy I had not checked my account. Please respond to my personal email if you get the chance. Ed Little, fellow alumni, UCD. Still hoping to hear from you, Ed.